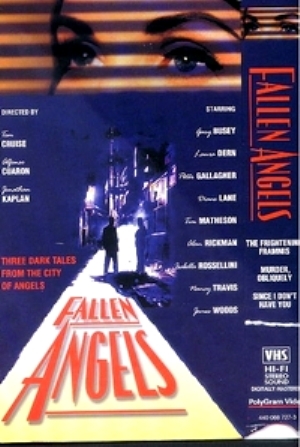 Fallen Angels is a neo-noir crime series that aired on Showtime from August 1993 to December 1995. Eric appeared in the second season as an ambitious young detective trying to catch a serial killer who was targeting dancers. Richard Portnow played his partner and Jennifer Grey starred as a dancer who knew one of the victims. 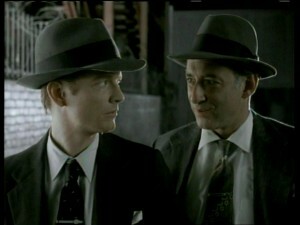 The second season of the show was released in several volumes under the title ‘Perfect Crimes’ in Europe and Australia. “A Dime a Dance” is included in Vol. 3. In the United States, only the first season was released in a two-volume VHS set. A police detective investigates the untimely death of a nightclub dancer at a local hang-out but his investigation is called off by the police brass. The problem: the killer is still on the loose.